Look confidently at the challenge ahead with the Descente Glade Insulated Ski Jacket. Ready for comfortable adventuring, the Descente Glade ski jacket is made from EnerG stretch fabric for increased mobility while going down the slopes. You also won't have to worry about the cold thanks to the 3M Thinsulate™ with 100G insulation. 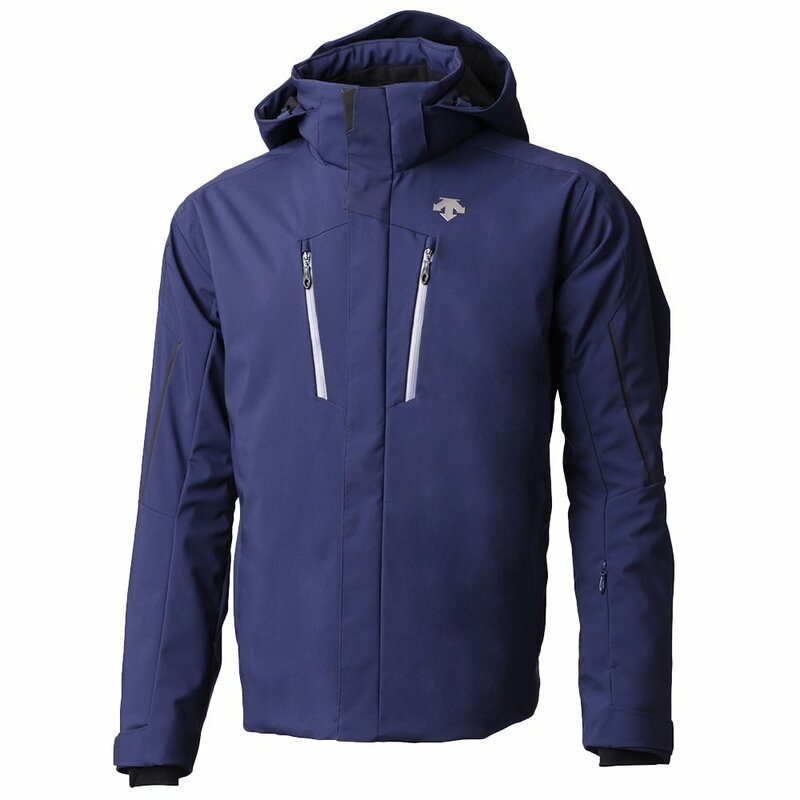 Waterproof zips and Lycra cuffs also make this jacket a secure and reliable option. You'll never back down with the Descente Glade jacket. An inner mesh pocket, media pocket, and pass holder allow for prime accessibility. Lycra cuffs add a layer of protection when the gloves come off. Pit zips allow for a quick cool down on the move.
" Hi I'm interested in the Descent Glade jacket I'm 5'11'' slim build just seem to be falling between a medium and large especially around the waist am I better going for the large or medium size." "Thank you for your inquiry. We would recommend sizing up to a large for added comfort. You may also want to size up to compensate room for the appropriate layering underneath your jacket. We hope this information helps!" "Thank you for contacting us. The Hood on the Descente Glade Insulated Ski Jacket is removable. We hope this information helps!" "The model in your video for the Descente Glade is my height, but he seems to be bigger than I. The medium he is wearing looks really big. Should he be wearing a small? If I am about 5'11" and 155ish, could I wear a small?" "Thank you for your inquiry. We recommend taking a look at the Descente size chart for accurate measurements. We hope this information helps! " "Does the jacket have a draw cord at the hem?" "Thank you for your inquiry. The "Descente Glade Insulated Ski Jacket" does have a draw cord inside the hem of the jacket. The entire draw cord and even the ends are enclosed and protected from the weather elements. The draw cord runs through the hem and the ends of the cord exit into the waist pockets where they can be adjusted. We hope this answer helps with your Peter Glenn selection and purchase."